ATD Austin - Networking @ the Domain iPic Theater!!! Networking @ the Domain iPic Theater!!! Summit participants are automatically registered for social with paid Summit registration. Join ATD Austin and Austin’s Learning, Development and Performance professional community for the ultimate experience, an evening of networking, fun, and food at the luxurious Lounge, at the Domain. FREE attendance with Paid Summit Registration!!! 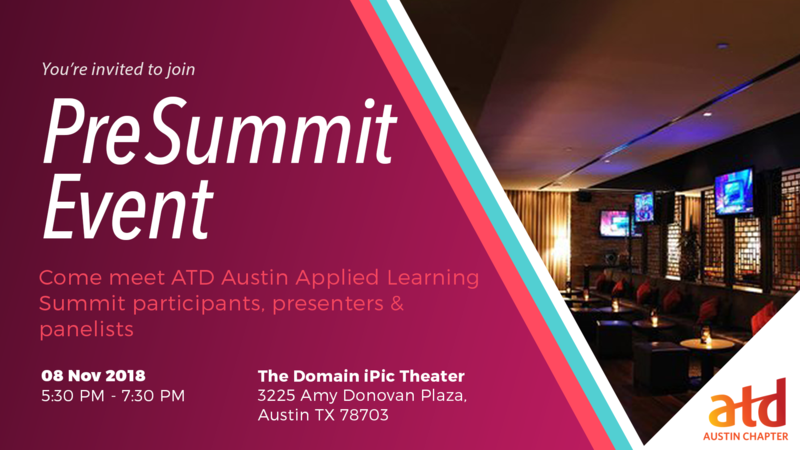 Register for ATD Austin Applied Learning Summit!